Girls at Killamarsh Endowed School. Photo courtesy of V. Hopkinson. 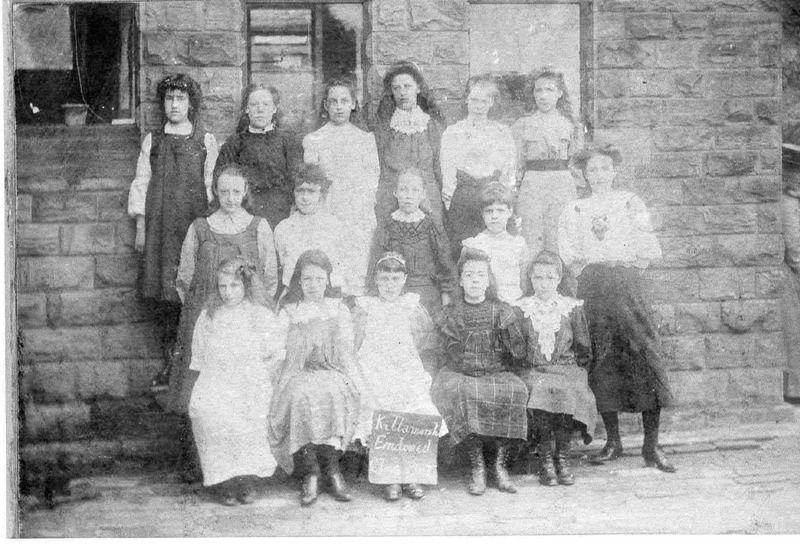 The tall girl with the long dark hair on the back row could be Kathleen Taylor, my mother, who would have been at that school between 1913 and 1922, but I can’t be certain.